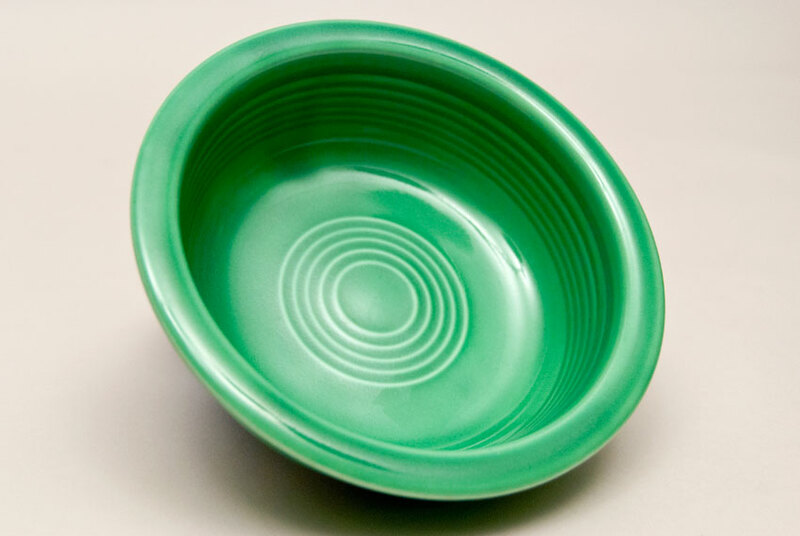 Circa 1936-1951: The 5 1/2" version of the classic Vintage Fiesta bowl shape is found on the larger eight and nine inch nappies and the smaller berry bowls. 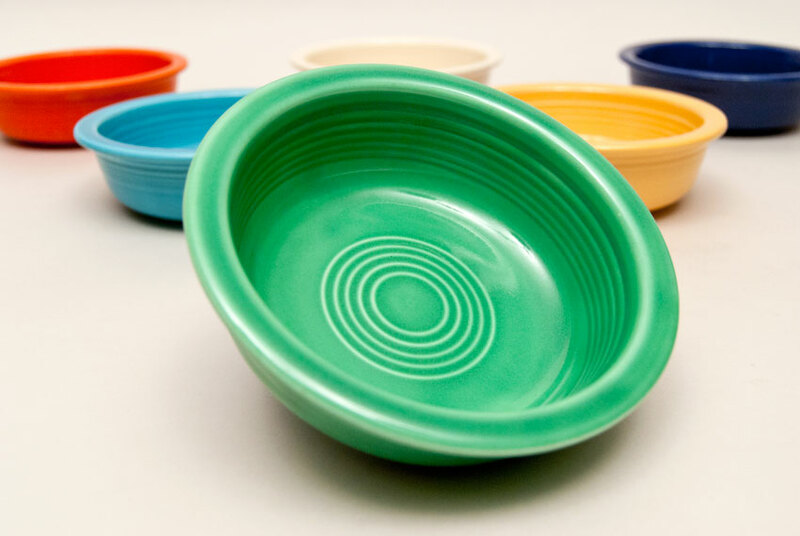 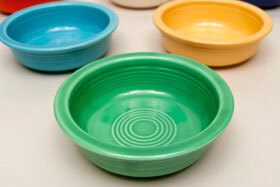 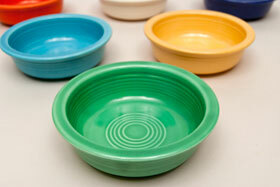 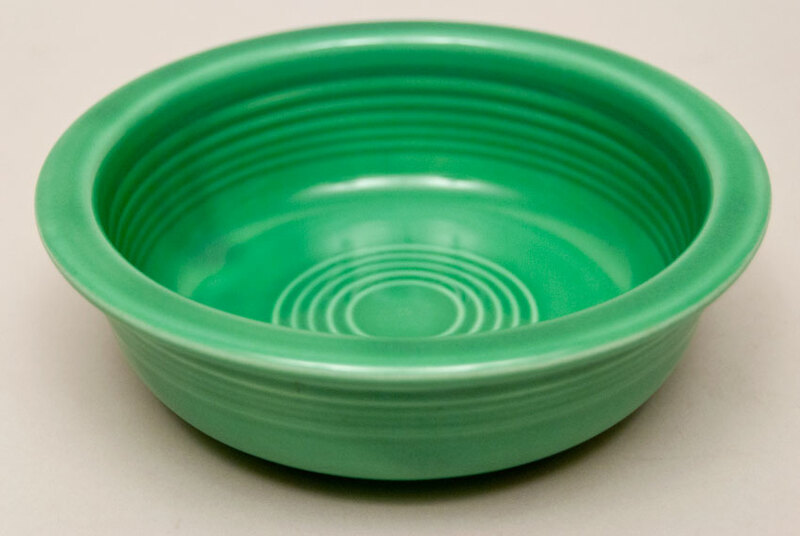 The bowls are a delight and celebrate the famous Fiesta concentric rings, inside the bottom, around the inside and outside edges, top to bottom. 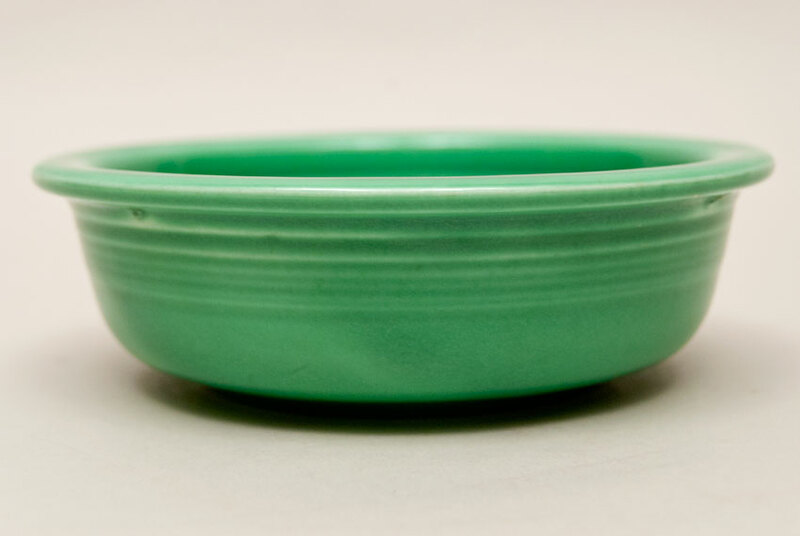 This example in the original light green glaze is in excellent condition, without signs of use or damage, with a nice glaze and well defined rings. 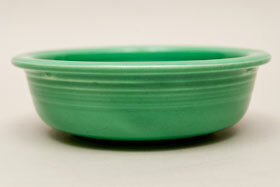 Measures Measures 5 1/2" w x 2 1/2"h.